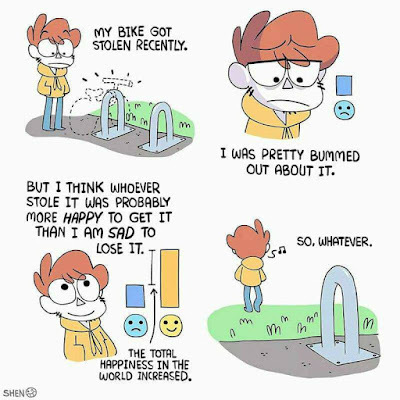 People who justify others theft of their stuff also tend to justify their political attempt to steal from you by that same logic that you won't miss your stuff as much as those in need who want your stuff. Solution: encourage the poor to feast on the wealth of rich liberals who will put up the least fight. 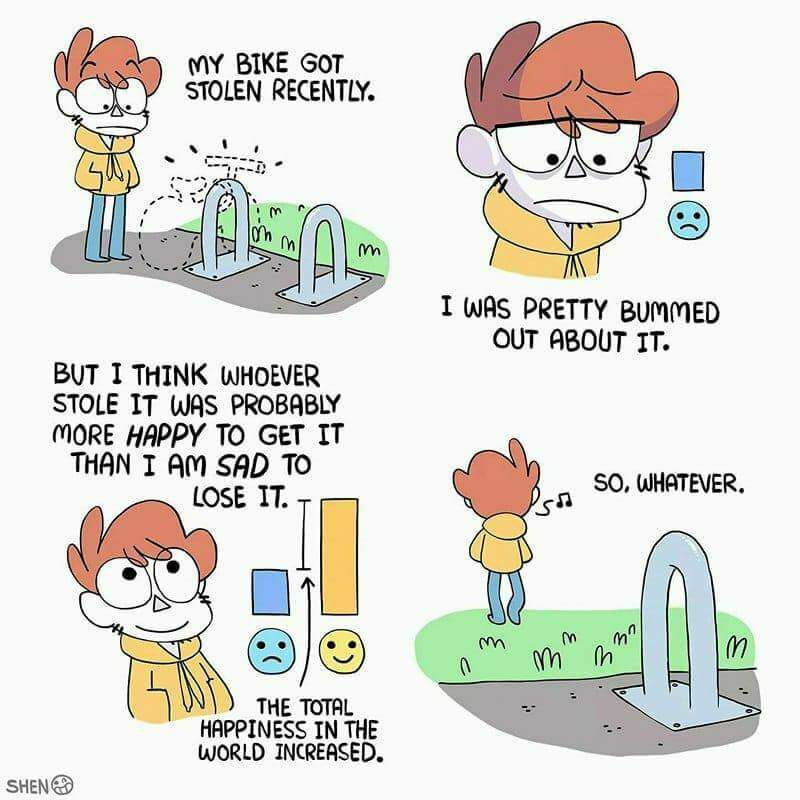 Someone should make a comic like this, but replace the guy with a stolen bike with a woman who's been raped. Then, perhaps, the absurdity of this reasoning would be more apparent.